Today, the Kickstarter campaign for Alternate Hilarities starts. Please help Strange Musings Press get to its goal of $1100 to fund the publication of the print edition of the anthology. 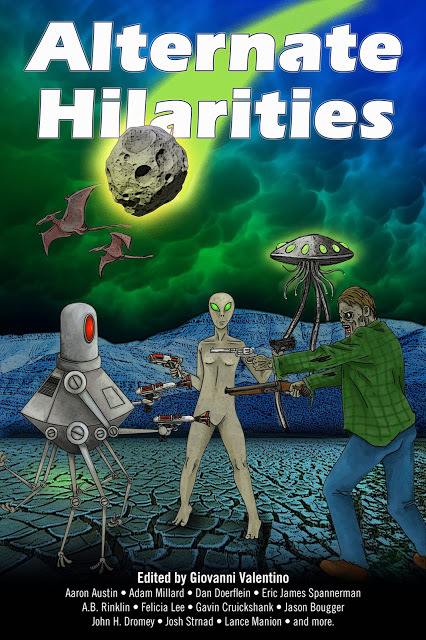 This entry was posted on Sunday, February 23rd, 2014 at 10:50 pm	and tagged with Anthology, Fantasy, Kickstarter, Paperback, Strange Musings Press and posted in Alternate Hilarities. You can follow any responses to this entry through the RSS 2.0 feed.